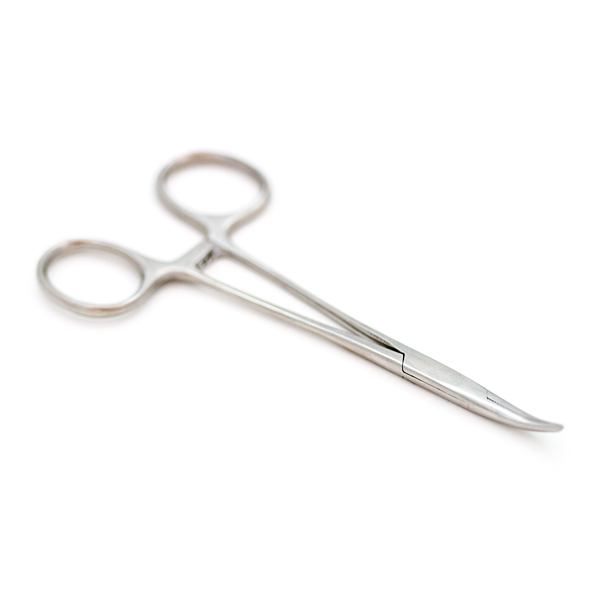 5" hemostats with a curved tip. We use them to hold wire wrap wire in place when we're 'green wire' fixing a board. A must have for any PCB fixing project. Read more about cutting traces and 'green wire' fixing in the SMD How To tutorial. I have two of these in my toolbox, they're great when you need to hold something when soldering. Also, alligator clips can be used in a pinch, depening on application. PS: i didn't buy those in here, so i can't say anything about quality. 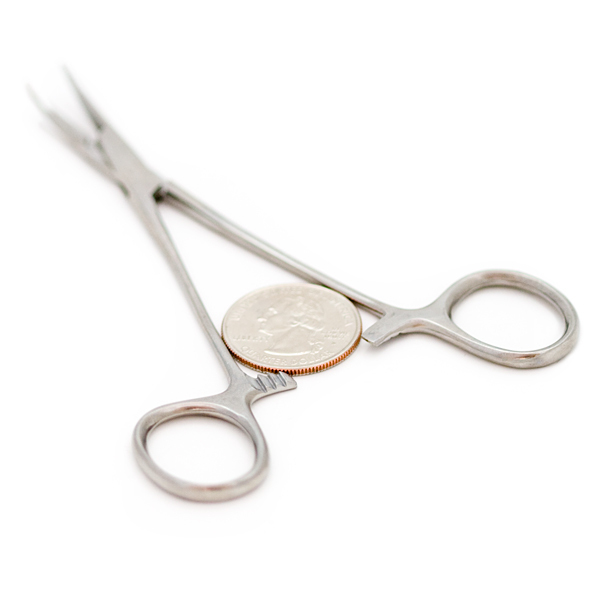 Don't forget that the goal of the hemostat is not to hold something. They are made to clamp and shut down blood stream (for example). If you want to hold a part...Indeed it is the worst thing you can get. If you want to snap something small and make sure nothing moves (wires and wire wrap) Then it is the perfect thing to get. But what would you recommend for someone looking to get into SMD soldering? you should carry cross locking tweezers, that's really something. 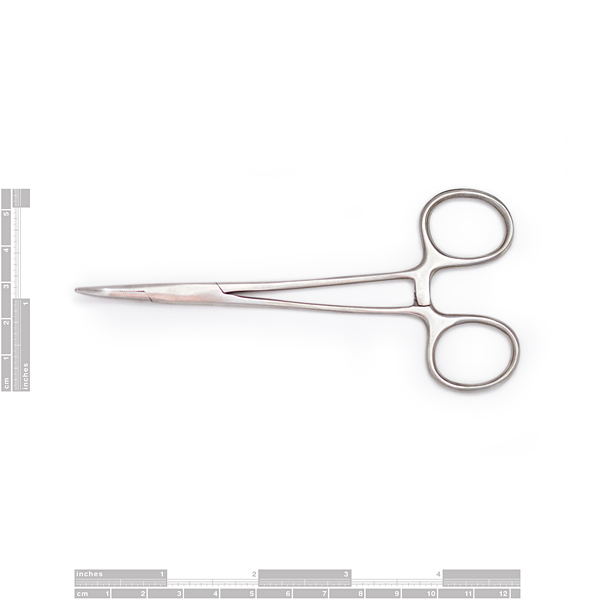 similar to these http://www.amazon.com/Curved-Cross-locking-Tweezer-6-1-Inches/dp/B0058ECC5O Some have an end that enables it to be locked in an wise or third hand setup. Good product suggestion. I will see if we want to carry these.